Sandon S. Speedling, MHS, CPM, was appointed Administrator/Health Officer for the Florida Department of Health in Jackson County May, 2018. He previously served as Acting Administrator/Health Officer from May 2016-May 2018, and prior to his appointment in Jackson County he served as Assistant County Health Department Director for the Florida Department of Health in Bay County from February 2009-May 2016. Known for his advocacy and leadership he also served as the Public Information Officer and Patient Health Advocate for the health department and is committed to advancing the agency’s mission to protect, promote, and improve the health of all people in Florida through integrated state, county, and community efforts. As a public health professional with over 26 years of health care experience in private, non-for profit, state and county organizations, he actively strives to improve public health practices and influence key communities to promote healthy lifestyle choices among the populations. 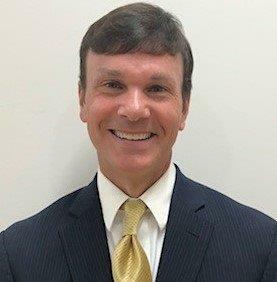 Mr. Speedling is a 1992 graduate of the University of Southern Mississippi in Hattiesburg, Mississippi, where he received a leadership scholarship in pursuit of his Bachelor's degree in Psychology with a Minor in Business. In 1995, he received his Master's degree in Health Services Administration from Mississippi College in Clinton, Mississippi, and was awarded the Certified Public Manager designation from The Florida Center for Public Management at Florida State University in Tallahassee, Florida, in 2014.
years and successfully assisted the Lorain County Public Health System in Elyria, Ohio through the accreditation process. He is actively focused on providing quality leadership to the Florida Department of Health in Jackson County to be recognized as a high performing county health department. In addition, Mr. Speedling currently serves as President for the Florida Public Health Association, where he previously has held 1st Vice President, 2nd Vice President, Secretary and Member-At- Large board positions. In 2018, Mr. Speedling was selected and recognized as the Masters of Health Services Administration Distinguished Alumnus of the Year at Mississippi College in Clinton, Mississippi. Sandon S. Speedling is married to Dr. Diane D. Speedling, M.D., Board Certified Anesthesiologist and Medical Director for The Surgery Center at Sacred Heart Medical Park in Destin, Florida. They enjoy traveling abroad, attending sporting events and being active residents of the Emerald Coast. Thank you for your interest in services provided by the Florida Department of Health Jackson County. Our mission is to prevent and control the spread of chronic and infectious disease, provide basic family health care services to persons unable to access care from the private sector, provide early intervention and medical services to children with special health care needs, monitor the sanitary status of water and sewage systems, group living facilities and other activities that have the potential to threaten the public's health. The Staff at the Florida Department of Health Jackson County is proud to play a vital role in this mission by providing caring and efficient service to all of our clients. The Staff and Management at the Florida Department of Health Jackson County are fully committed to protecting and promoting the health and safety of residents and visitors in our county. We pledge professional and caring service for those we serve. Thank you, the citizens of our county, for allowing us to be your Public Health Care Provider. If you have questions or concerns you believe we can assist you with, please do not hesitate to contact us at 850-526-2412.